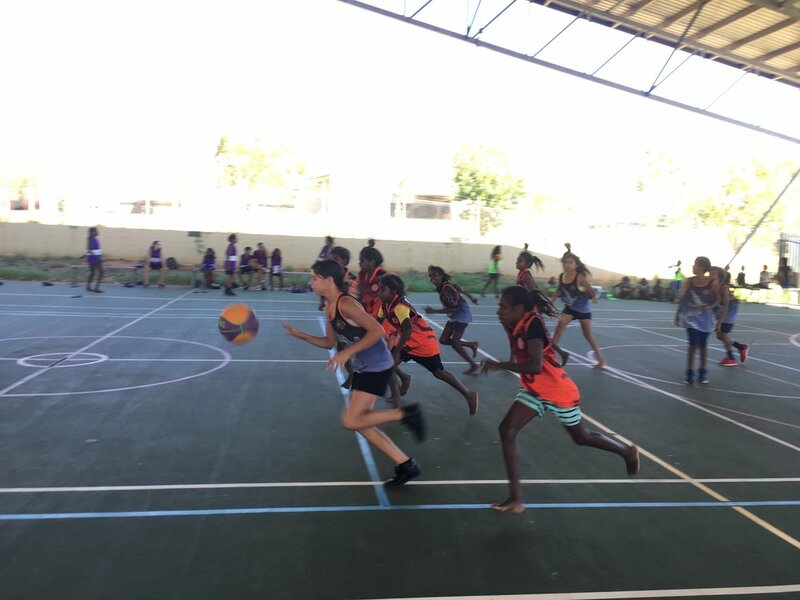 Bayulu RCS, Fitzroy Valley District School, Muludja RCS, Wangkatjungka RCS, Kulkarriya CS,(Noonkanbah/Yungngora) Yiyili School and Yakanarra Community School. All 9 teams made up of grade 4-6 students played a great standard of basketball. There carnival was played with fierce competitive spirits, but not without great sportspersonship and teamwork. 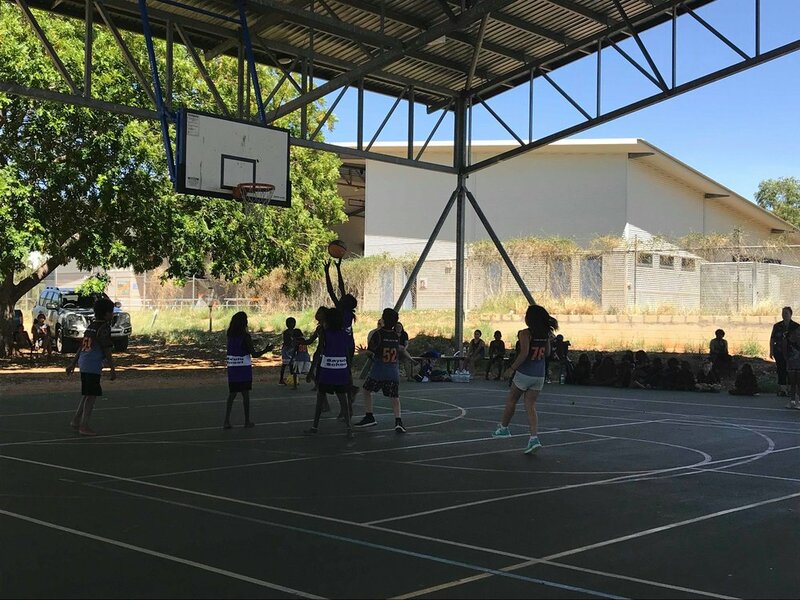 The students used all the skills and knowledge they have been building during our clinics in Term one to the test, and they were rewarded with a great day. We were extremely lucky to have students from Fitzroy Valley District High School helping out on the day. The students learned the processes and planning that goes into sporting events, as well as how to referee and keep score. At the end of the day, all schools came together and an MVP was chosen from all teams. These players were not just the best players but the ones who displayed great teamwork, leadership & sportsmanship with the opposition.